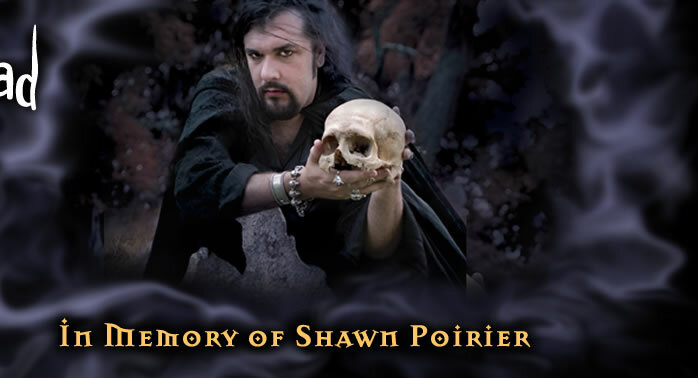 It is with great sadness that we share the news that Salem Witch Shawn Poirier passed away peacefully in his sleep in the early morning hours of Sunday, March 18th, 2007. We ask for energy, prayers, and well-wishes that he has a safe journey into the next world. Shawn was buried with his Witches' tools that he may continue to play his role in service to others for years to come. He was also buried with his beloved cat, Ka, who suffered from severe diabetes. Shawn's other cat, Mistopheles, is with Leanne Marrama. Ka is an Egyptian word for the life force that kept the soul alive. Shawn's dear cat was so much a part of his life that it is a testament to their bond that they left this world together. Festival of the Dead takes on a new meaning with Shawn's passing. We truly have confronted our own mortality and looked death in the face. The work that began in 2003 will live on in all of those who participate in this adventure into the spiritual unknown. When people we love die, they become guides to us in the spirit world, able to hear our prayers and to ease our burdens. It is from this ancient spiritual concept that the idea of prayers to saints is derived. To each of those who mourn someone, we offer the suggestion of an altar in their home to the spirits of those you loved. Your own grandmother can be as much a force for you in spirit as St. Jude or St. Anthony. And when you remember those you loved on the other side, they will never truly die.